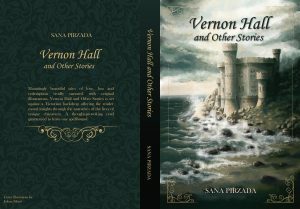 Sana Pirzada’s ‘Vernon Hall and Other Stories’ provides a fascinating glimpse into Victorian England through four short stories, a series of morality lessons and a unique cast of characters that encapsulate the era’s mystery. From Lord Ravenson to Vernon Hall – Pirzada’s latest volume is a beautiful work of fiction. 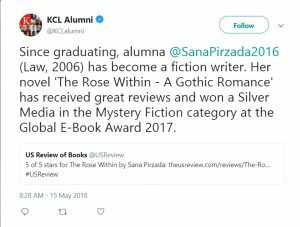 United Kingdom – In 2016, Sana Pirzada stormed the literary scene with her debut novel, ‘The Rose Within’, which took her fascination with gothic fiction to a very personal new level. Following much success, she now returns with ‘Vernon Hall and Other Stories’. It’s a collection of four different pieces of fiction, each inspired by Victorian England’s Gothicism and narrated by those with strong connections to love, death and spirituality. Vernon Hall & Other Stories is a collection of four short stories in the style of the Gothic genre. Set against the backdrop of Victorian England, each story narrates several morality lessons through the lens of unique characters. Lord Ravenson narrates the story of a writer, Meriweather Willoughby and the challenges that he confronts in winning his love. Though he is poor himself, he proves to be a very charitable and noble man who attains his heart’s desires by being kind to others. Supernatural elements of werewolves/ vampires and clairvoyants are all present. The moral of this story is: Sometimes God pushes you on a certain path you never thought you would take. And the spiritual journey that lies ahead is often a life-changing one. Madame de Quincey narrates the story of a young girl, Penny Brown and how she wishes to escape her dysfunctional family. Madame de Quincey, a kind witch tries to help Penny but the story takes an unexpected turn. The moral of the story is: Love is all about self-sacrifice and true love has no boundaries – no ‘ifs’, no ‘buts’ and no conditions. The Withered Mistletoe (a long poem) narrates the story of a young boy, Horace whose mother is dying. He accidentally stumbles upon a haunted house called Thorn Manor and meets the ghost of Baroness Thorn who initially scares him off but once Horace listens to her tale of woe begins to empathise with her and tries to reunite her spirit with her estranged son. The moral of the story is: Even death cannot undo a parent’s love for their child and a child’s love for their parent. Vernon Hall: is a story within a story. It begins in London during the Second World War and Christine the narrator highlights how the war has damaged the country and her own life. She then begins reading her deceased mother’s journal and the reader is transported back in time to the Victorian era when Christine’s mother, Eleanor was a young woman. Eleanor’s Journal then narrates how she was taken under the wing of the noble Amelia Vernon, an aristocrat and how she ended up living at Vernon Hall, Amelia’s family estate in Kent by the sea. But Vernon Hall has many secrets and a history that is blood-curdling. Eleanor eventually falls head over heels in love with the alluring Ezekiel Lloyd – but he is not quite what he appears to be. It is a beautiful love story with horror elements – a dark Gothic romance. The moral of the story is: love that is true forever burns. ‘Vernon Hall and Other Stories’ is available now. 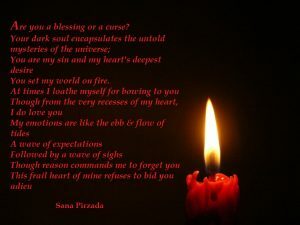 For more information, visit the author’s blog: http://sanaspirzada.com. Sana Pirzada is a barrister by profession as well as a writer and aspiring musician. 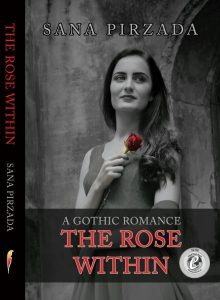 Her debut novel, The Rose Within — A Gothic Romance’, was first published in 2016 and was a Finalist in the Wishing Shelf Book Awards and won a Silver award in the ‘Mystery-Fiction’ category of the Global E-Book Awards 2017. ‘Vernon Hall & Other Stories’ is her second book, a collection of short stories in the style of Gothic fiction, a genre Sana is fascinated by. 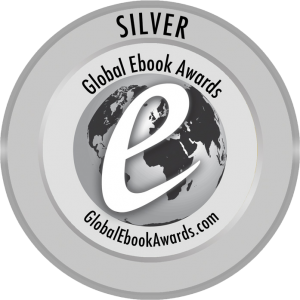 Proud to announce ‘The Rose Within – A Gothic Romance’ has won a Silver Medal in the Global E-book Awards in the ‘Mystery – Fiction’ category!